Double check your leasing agreement to make sure the tenants are truly late in paying their rents. Sometimes you remember better when it is written on paper than in your head. ** It’s also highly advisable to pay great attention to the late payment clause among others in the lease agreement before signing. We know it’s absolutely frustrating for landlords not to receive their rents on time. However, before going into any written warning or legal action, it’s recommended to try some gentler approach – talk to the tenant, and find out the reasons of late payment. Remember that being gentle on your approach doesn’t mean you cannot be firm on your stand. Serve the tenants with a late rent notice. This piece of written paper reminds them that their rent is already past due. The notice should include all the fees that are due and reminds them that further legal actions will be taken shall they fail to pay it full immediately. A late rent notice can be served to the tenants by email or in person. Give your tenants a call to inform them after you have served them with the late rent notice. The phone call will serve many of the same purpose as the late rent notice. Give them a Quit Notice to follow up with the previous one. This is a more official form of reminder that is one step closer to the eviction process. This acts to show that you are serious to pursue with legal means. 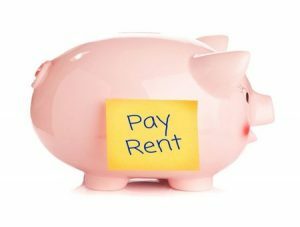 You should pursue legal action if the tenants still fail to pay their rents at this stage. You shouldn’t try to shut off the utilities before the eviction process is completed as any attempt to remove the tenants physically is equally illegal. No landlord wants a late paying tenant. But when we encounter one, the best bet is to do the right things to rectify the situation. Do you also wish to know how to identify a potential bad tenant? Read our recent blog post on “Top 5 Warning Signs of a Potential Bad Tenant” to have a better idea!